You are here: Home » Sign Up for a Summer Cooking Class at Open View Gardens! 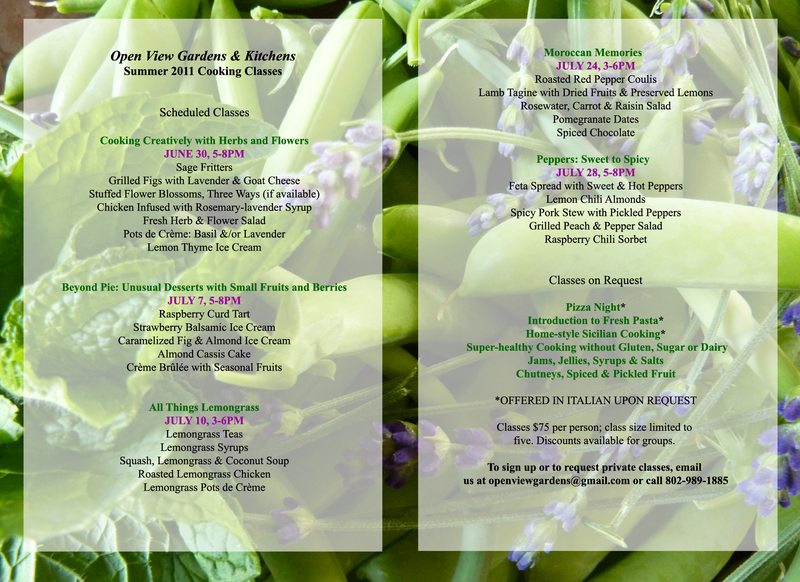 Sign Up for a Summer Cooking Class at Open View Gardens! If you’re in Vermont this summer, join us for one of scheduled class sessions in our lovely home kitchen–tour the gardens while you’re here!–or arrange a private class or give a cooking class as a gift. Download our flyer or our brochure, call or email (openviewgardens@gmail.com) with questions or to sign up. See our class policies for more information. We look forward to hearing from you!